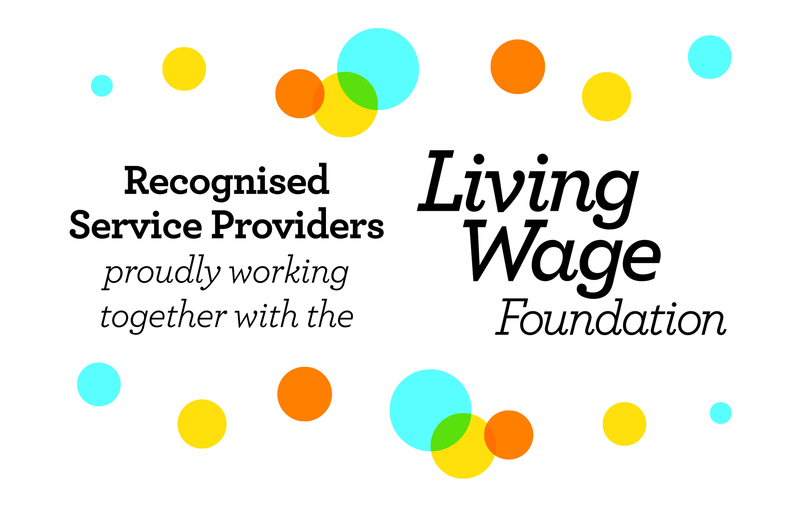 Enhance is a Recognised Service Provider proudly working with the Living Wage Foundation. We commit to supplying a Living Wage bid alongside every market rate submittal to all our prospective and current clients. This means the client always has the choice to implement the Living Wage at the point of tender. “I thought it was going to be the most difficult decision of my business life�” says Sandy Aird, MD of Enhance, “�but when it actually came to it, I knew it was overwhelmingly the right thing to do. That was 8 years ago and I have never since regretted the decision to implement the London Living Wage across many of our contracts”. Enhance were one of the first cleaning companies to embrace the idea of a fair wage for low-paid workers in London. “In July 2010, despite being in the grips of the Global Economic Crisis, London�s property market was booming and house prices had increased by a remarkable 15% in just 12 months, making it even harder for low-income families to get on the property ladder “says Aird, “It struck me that there was a huge disparity between those earning a good salary in the City and the people at the other end of the scale who were cleaning their offices every day for peanuts. I thought this was very unfair, especially as most cleaning contractors seemed to assume that every contract should be at the 2010 minimum wage rate of �5.93. I tried to imagine what my life would be like if I had to get up at three in the morning, take a night bus to a city office, clean it hard for two hours and then go home having only earned �11.86”. Aird shrugs “I just couldn�t afford to live”. Rather cannily, Aird also knew that in a market like London, with hundreds of firms offering cleaning services, a USP that differentiated Enhance from its competitors might be useful � and it was: “Very quickly I realised that the majority of my clients agreed with what I believed; that if you want a loyal and reliable workforce who respect their employer and work hard for them, then you need to pay them a fair wage”. One by one Enhance�s client base agreed to support the London Living Wage, persuaded partly by Airds impassioned sales pitch, but also by the powerful statistical evidence provided by the Living Wage Foundation that showed that by paying the LLW, companies could dramatically improve retention, staff absence levels and employee work satisfaction.